On or about the 24th of January, 1934, due to my inability to continue the rendition of services in accordance with the contract in existence between us, dated January 7th, 1930, you have given me, on said date, notice of suspension of said contract, pursuant to the terms and provisions thereof, all of which will more fully appear from an examination of said notice of suspension. 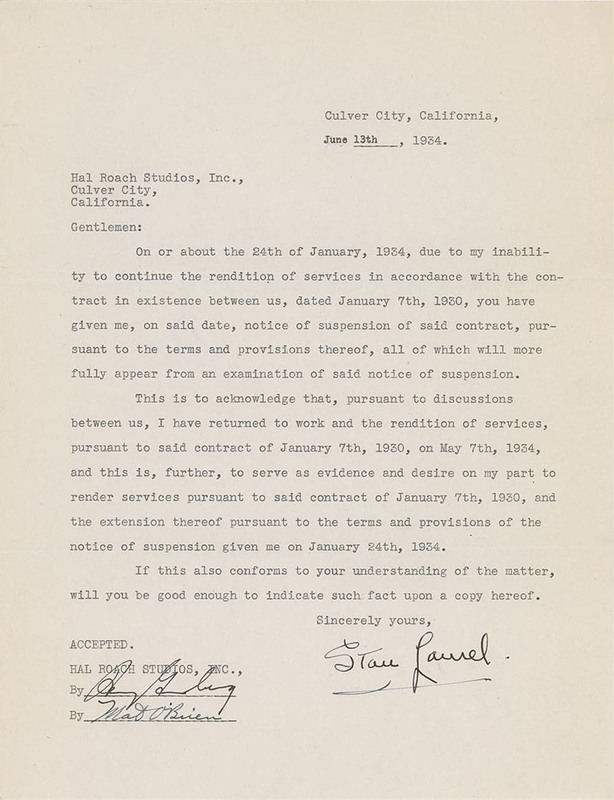 This is to acknowledge that, pursuant to discussions between us, I have returned to work and the rendition of services, pursuant to said contract of January 7th, 1930, on May 7th, 1934, and this is, further, to serve as evidence and desire on my part to render services pursuant to said contract of January 7th, 1930, and the extension thereof pursuant to the terms and provisions of the notice of suspension given me on January 24th, 1934. If this also conforms to your understanding of the matter, will you be good enough to indicate such fact upon a copy hereof.